A solar power system turns energy from the sun into electricity. This requires a system made up of a number of items, principally photovoltaic cells (arranged in what are commonly called solar panels), current inverters to turn the direct current electricity from the panels into alternating current electricity, appropriate wiring to connect to your home’s electrical system and, in many states, a net metering electrical meter that shows how much power you’ve generated with your solar power system. A geothermal system is an underground pipe array containing water or an antifreeze like solution that is connected to heat pumps. The system transfesr heat from a building into the ground in hot weather and transfers underground heat to a building during cold weather (in the Northeast, the temperature of the ground 5 to 10 feet below the surface is consistently between 50 and 60 degrees Fahrenheit). There are government incentives. The largest of these comes from the Federal Government, providing a 30% tax credit for homeowners and businesses. After accounting for the tax credit, a $50,000 system would cost you only $35,000. In addition, there are local incentive programs whose features vary from state to state. For a detailed description of your state’s program, visit www.dsireusa.org. SREC is an acronym for Solar Renewable Energy Credit. Fullersenergy.com will open an SREC account for you. Every time your system generates 1000 kWh of electricity you will be issued one SREC. These can be sold on the open market. Electric utilities need these credits in order to meet state-mandated requirements for the production of clean energy. How Long Will I Receive SRECs? In New Jersey, the owner of a solar electric system will receive SRECs for 15 years from the time the system is turned on. In Massachusetts, solar owners will receive SRECs for 10 years. Some observers expect that the state will extend this time frame in the future. Net metering refers to the use of electric meters that record not only the electricity you buy from the utility but also the amount of electricity that you put back into the grid as a result of solar generation. In essence, you are using the existing power grid as a battery, storing any excess energy you produce. In some states, the local utility will pay you for power you generate but don’t use. Will Solar or Geothermal Increase my Taxes? No. Solar electric systems do not increase the value of your property for real estate tax assessment purposes for years to come. Check local regulations to see how long a system in your area will retain its exemption. 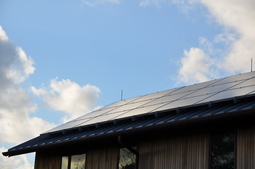 Why Should I Choose Fullers Energy for my Solar Installation? Part of the answer to that question can be found by reading the About Us section of our website. Aside from our commitment and the promises that we live by, we provide the highest quality equipment with the strongest possible warranties. Whenever possible we use equipment made in America, designed and built by highly experienced companies. Fullers Energy provides its own 10 year warranty, a warranty double the length required by the states. 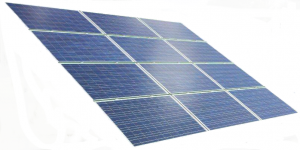 Our solar panels are manufactured by Mage. Mage offers a 10 year product warranty, far surpassing industry standards, and they’re guaranteed to produce 90% of their nominal power for 12 years and 80% for 30 years: three decades of reassurance. Given that a warranty is only as viable as the company offering it, consider that Mage has been in business for over 30 years and is a large and diversified company. To invert and move power from the panels, we use Enphase Microinverters. Each panel has its own microinverter. Enphase produces the world’s most efficient microinverters with a CEC efficiency rating of 96%, which equates to an increase in energy production of up to 25%. And they’re warranted for 25 years, while most others are warranted for only 5 to 10 years. Fullersenergy.com is an energy integrator. We evaluate energy need, we install systems, we handle paperwork, we apply for state rebates, and we process your interconnection agreements with energy utilities. Our commitment to our customers compels us to do what we have to do, to make the process as wonderful for you as the end result.